Couples break up, "YOLO" goes out of style, but the literature you love is forever. From Extremely Loud and Incredibly Close. 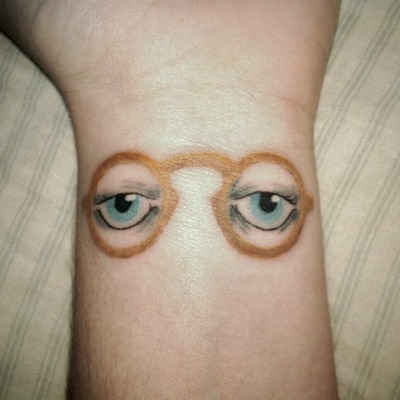 The eyes of Dr. T.J. Eckleburg from The Great Gatsby. From The Lion, The Witch and the Wardrobe. From The Hitchhiker's Guide to the Galaxy. From The Wind-Up Bird Chronicle. From Ramona Quimby, Age 8. The green light from The Great Gatsby. From The Fellowship of the Ring. From Alice's Adventures in Wonderland. From The Very Hungry Caterpillar. From "I like my body when it is with your." From Where the Sidewalk Ends. From Alexander and the Terrible, Horrible, No Good, Very Bad Day. 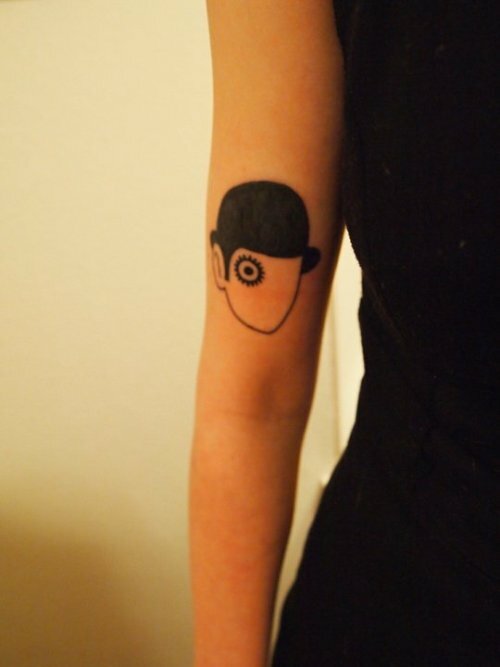 Tattoolit, where many of these images came from, has plenty more, plus a book on the same topic. Start planning your ink accordingly. And if you already have one, add yours in the comments!